Your yard is a functional and attractive piece of your property. To properly care for your yard, you will need lawn and garden equipment such as mowers, power tools, and various other tools with small engines. K N Small Engine & Rental Equipment in Lancaster, WI, specializes in small engine repair and maintenance for your lawn and garden equipment. To keep your lawn looking it’s best, K N Small Engine & Rental Equipment offers expert lawn and garden maintenance tips, including when to till or not till your yard. Tilling will help cultivate and aerate your soil. For the best results, you should till your garden when the ground is dry. When the patch of land is bare and you are preparing to plant, tilling can pull up weeds to clear your space for gardening. You will commonly begin to prepare your soil in the spring, so this is the ideal time to till the ground and then plant your flowers, herbs, or vegetables. There can be drawbacks to tilling, however, especially if you want to garden in the same spot year after year. Over time, it can make the soil harder under the surface and does not remove weeds as efficiently. If you are planning to garden in the same spot for many years, consider covering the ground between the last snowfall and your preferred planting time in the spring to keep the soil moist. You can cover your garden with a natural mulch to keep the weeds down, build raised beds, or use a breathable cover such as a weed barrier or cardboard. 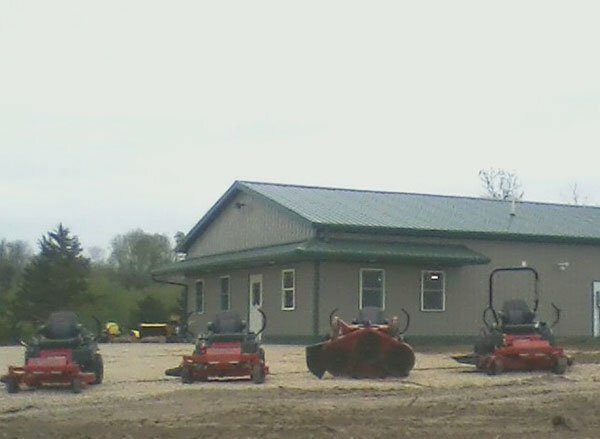 If you have questions about tilling, engine repairs, or lawn and garden maintenance or equipment, the experts at K N Small Engine & Rental Equipment in Lancaster will be glad to advise and assist you. In addition to selling lawn and garden equipment, they also offer small engine repair and maintenance and rent large contractor equipment. Call (608) 723-3790 to learn more about their small engine services, or visit them online.